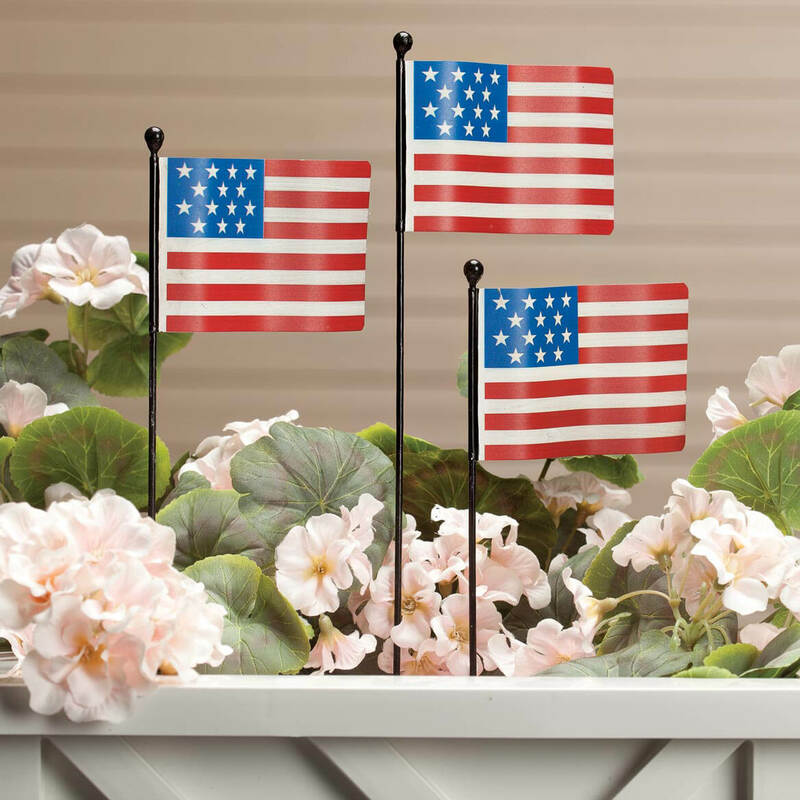 I saw these in a catalog and thought they'd be perfect to dress up my garden! I was right! I have planted a patriotic garden of red, white and blue flowers under my mailbox. I want to add these to it. I like to show the flag.. 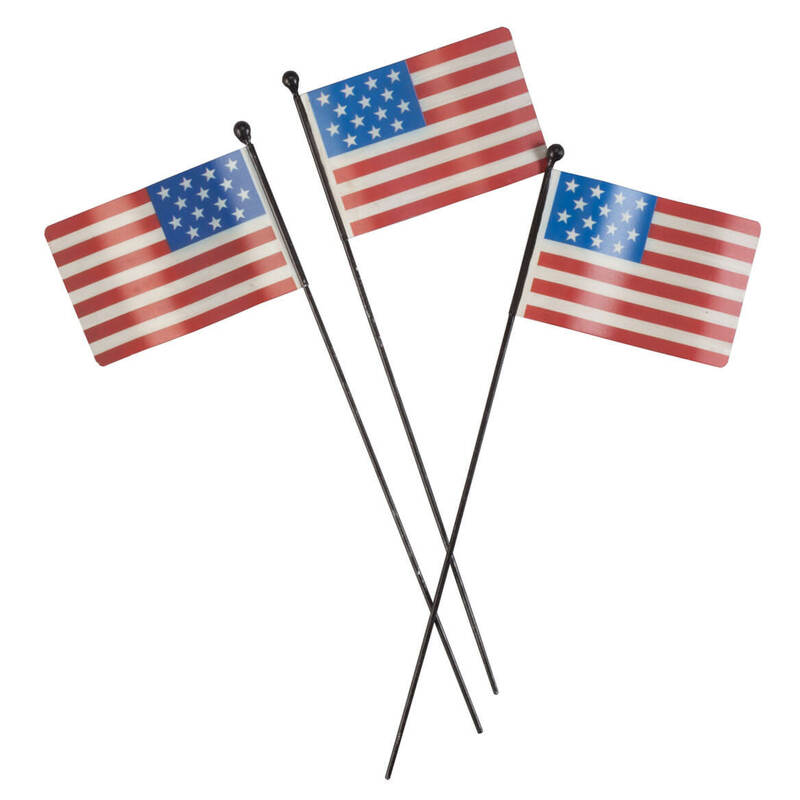 I am very 'thankful for every person who has fought for my Freedom, I fly a flag 24 hours... these will go in some flower pots that are in back of my home, on patio.. God Bless America and for all who have served our country.. I LIKE THE METAL STAKES.